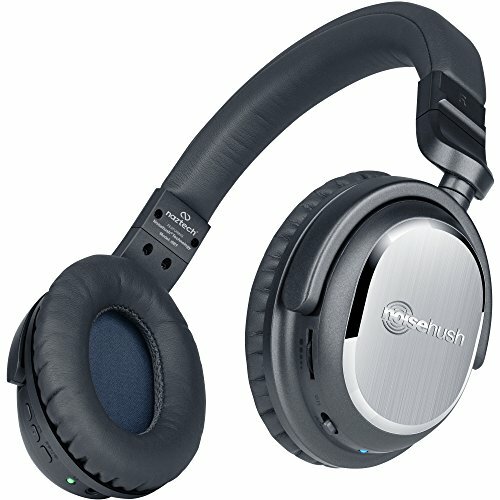 WANT NOISE CANCELLING EARBUDS/IN-EAR MONITORS? CLICK HERE. Check table of contents for better orientation. When it comes to a premium listening experience with ANC, few wireless headphones rise to the top like the Sony MDR-1000X noise cancelling headphones. With comfort and ANC performance that rivals Bose and sound quality that competes with Sennheiser, the MDR-1000X is easy to recommend. Claiming that the Sony MDR-1000x is on par with an effective noise cancellation similar to comparable Bose models is not an exaggeration. There are several ANC modes to choose from as well as an additional feature called Ambient Sound mode that allows you to fine tune your acoustic awareness. Two ambient sound modes allow listening to vocal-only sounds like announcements or normal listening mode so you can stay aware of traffic or other similar sounds. It may take some time to dial in the right combination of noise cancellation features compared to the “plug and play” Bose concept, but the effectiveness is noticeable. The design and build quality of the Sony MDR-1000x is average, as it is made with mostly plastic components. Sony seems to have spent much more engineering effort on the quality of the interior electronics than the exterior durability. That’s not to say that the MDR-1000x is fragile, because it isn’t. However, you’ll want to take care not to over-stress the hinge points where the earcups meet the headband. The earcups do fold flat and a hard carrying case is provided to help protect your investment while not in use. Sony delivers a very comfortable listening experience that allows you to maximize the 20-hour rated battery life. Synthetic leather is used for the earcup padding and even covers the outside of the earcup, which makes the MDR-1000x feel luxurious to wear and carry. Provided with Bluetooth NFC v4.1 and support for APT-X and AAC codecs, the Sony MDR-1000x is easy to pair and delivers high quality wireless audio playback. Wireless range is about 50-60’, so it isn’t the best, but it is perfectly fine for most use cases. There are only three control buttons on the headphones and they are located on the left earcup: power/pairing button, ANC on/off, and Ambient Sound mode. All other control for the headphones is by using the touch sensitive section of the right earcup. Sony delivers the sound quality you would expect from a $350 pair of headphones. The MDR-1000x sounds great and provides an enjoyable listening experience. The general frequency curve could be classified as a reasonable V-shape with a little bit of lively coloration in the high frequency ranges. As for volume, greater overall volume is achieved (and noted driver extension) when in wired mode. Sony MDR-1000x Bluetooth noise cancelling headphones are among the best when it comes to overall ANC performance and quality sound. You owe it to yourself to check these out. There is a great balance of sound quality and ANC performance with these headphones that solidly positions them in just about any top 10 list.Sony provides a colorful and attractive wireless noise cancelling headphones option with the H.ear on Wireless MDR100ABN series. The ANC feature does a great job cancelling out the lows and mid-tone spectrum, while allowing important voice information to pass through just slightly reduced. You should be able identify any quality control issues very quickly, so just simply ask for a warranty replacement if you have a bad battery out of the box. 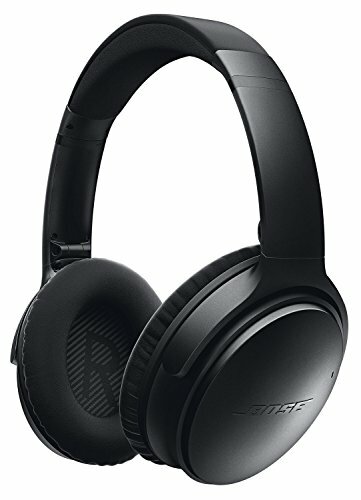 You can connect the headphones via Bluetooth or NFC. Both ways works flawlessly. Phone call and talkback mic quality is also quite good. The high frequency performance and range is much more agreeable than the Bose sound that can trend on the brittle side, though some may not find enough sparkle. One thing to note is that there is the potential for some sound leakage, so be aware of that in quite environments like an office or library. This is the first model, but it’s considered better than the 2.0 or 3.0 especially for the price. The newer models are much more expensive and don’t bring anything new to the table.Parrot Ziks are another great wireless noise cancelling headphones. Additionally you can use Obesti Ziks as wired headphones with the cable that you get in the package. This helps with battery life since it’s so small. 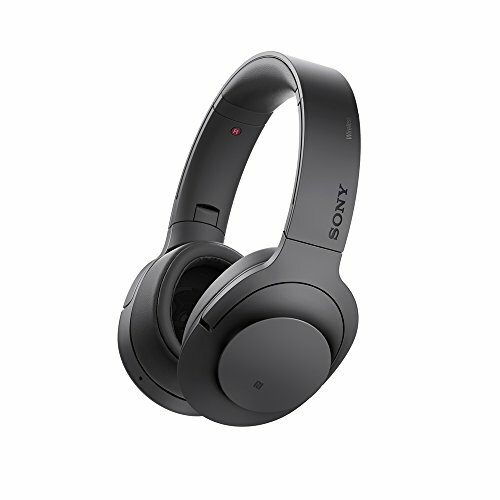 For the price of slightly over $200, you’re getting a lot of value.Sony MDR ZX770BN are one of the more affordable, high-end headphones with active noise cancelling and Bluetooth. The design of the Plantronics BackBeat PRO 2 is improved over the original PRO version. The earcup and hinge design has been modified for better functionality. Listeners of EDM or music genres featuring a lot of bass and pulsing low frequency energy will likely perceive a lack of articulation as the volume level is increased. 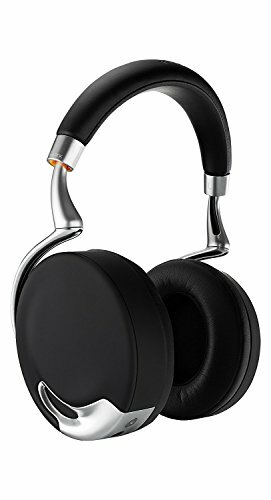 There are some other similar models for the same price of around $80, but Naztech i9BT just does more things better.Naztech i9BT are the best budget noise cancelling headphones with Bluetooth on the market right now. Comfort of Naztech i9BT is another thing that pleasantly surprises. These are smaller headphones and for most people, they will rest on ears, so basically they are on-ear headphones. The earcup design and padding helps attenuate ambient noise, and the active noise cancellation circuit works to take care of the rest. 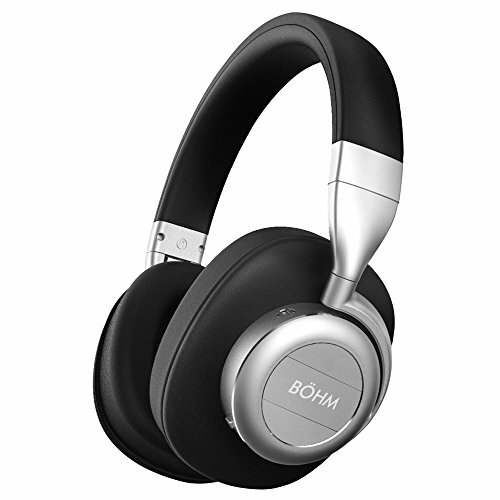 With plush padded earcups, the BÖHM B76 fit comfortably around the ears. It’s unlikely that these headphones will feel too clampy on the head. In fact, users with smaller heads may even feel that the headphones are too large and loose. Offered as a new contender in the premium active noise cancelling headphones category, the Sennheiser PXC 480 wired headphones are sure to impress. With classic style and sound quality, the PXC 480 just might be Sennheiser’s best and most comfortable noise cancelling model yet. The first thing you’ll notice when putting on these headphones is the excellent passive noise isolation. A closed back design combined with well-designed earcup padding makes these headphones great with or without engaging the ANC circuit. 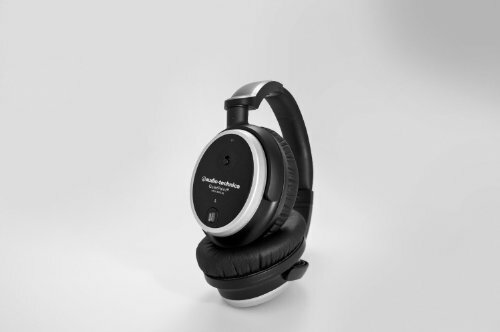 Sennheiser’s NoiseGard Hybrid active noise cancelling technology performs very well when compared with other popular headphone brands like Bose and Audio Technica. 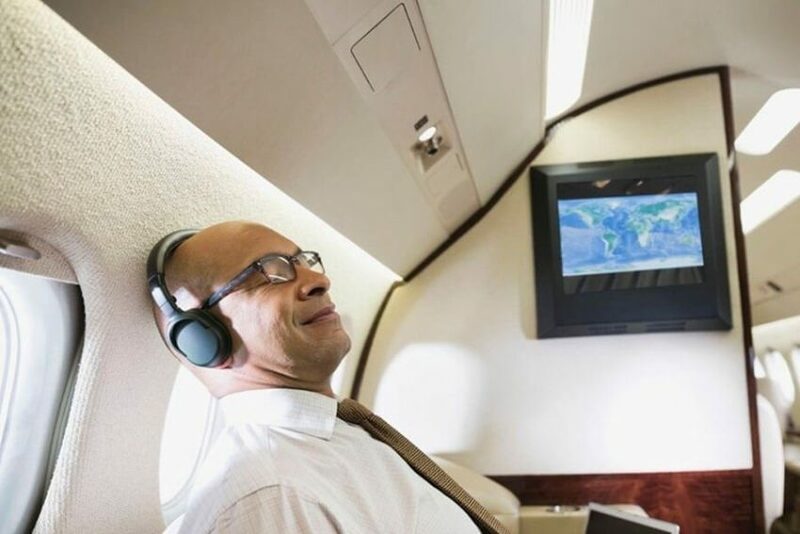 Whether on the plane or commuting by train, bus or car, these headphones definitely provide a quality active and passive noise cancelling experience. Being that this is a very recent addition to the PXC lineup, there are very little complaints about any durability issues. In fact, the construction quality on the PXC 480 feels more robust than other similar designs – even with primarily plastic components and hinges. The built-in rechargeable battery means there are no battery covers to lose and the audio and USB jacks seem to be thoughtfully integrated. The included carrying case may be the weakest component of this package, as it is rather lightweight and almost seems too flimsy for the quality product it encloses. And as with most Sennheiser products, a solid 2-year warranty is provided. Sennheiser nails it with the PXC 480 when it comes to comfort. Featuring deep earcups and plush memory foam padding, these headphones are easy to wear all day long. The headband padding is ample, without seeming too bulky, and the soft earcups just beg to stay on your ears. FIND BEST EARBUDS UNDER $100 ON THIS PAGE. The PXC 480 is delivered with a number of great features and accessories. A micro USB cable is included for charging and the detachable audio cable comes with ¼” and airline audio adapters. A zippered carrying case matches the black and silver trim style of the headphones. An in-line remote and talkback mic is also included on the audio cable. The talkback mic quality is quite good and adds to a great overall audio experience. 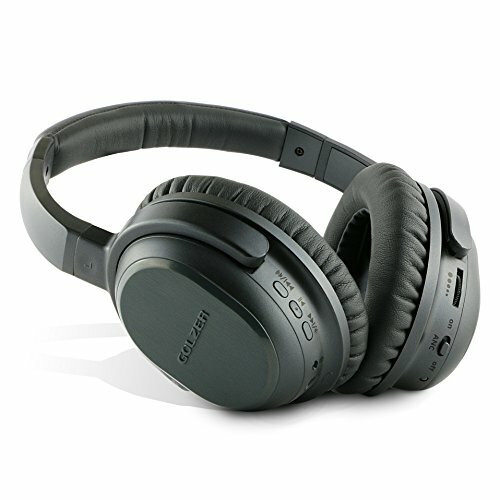 The headphones can be used in stand-alone noise cancelling mode with the audio cable unplugged, which provides a very clean cable-free experience. One of the more remarkable features of these headphones is the 50 hours of battery life. It seems Sennheiser designed these to be worn and used for a long time. A full charge of the built-in lithium battery is achieved in about 3 hours. Perhaps the weakest feature is the TalkThrough technology used to allow you to carry on a conversation with nearby passengers or flight attendants. This feature is a fine idea, but it actually boosts the noise along with the voices you want to hear, so the result is a little less than pleasing. Overall music playback and audio quality on these headphones is excellent. Bass response is powerful, but not unnatural or overly saturated. It comes across as confident and controlled. Mids are reasonably represented and detailed, but seem to compress the vocal ranges a little bit. The high frequencies are going to be less bright than with the Bluetooth version of this series, but they remain plenty detailed and clear. The balance of the frequency spectrum performance is quite pleasing and natural, but astute listeners of classical music may end up preferring a brighter set of headphones. A rich and full soundstage provides good depth, but the spacing is not quite as wide as some detailed tracks can require for maximum articulation. Sennheiser’s quality audio performance reputation certainly remains intact with the PXC 480. 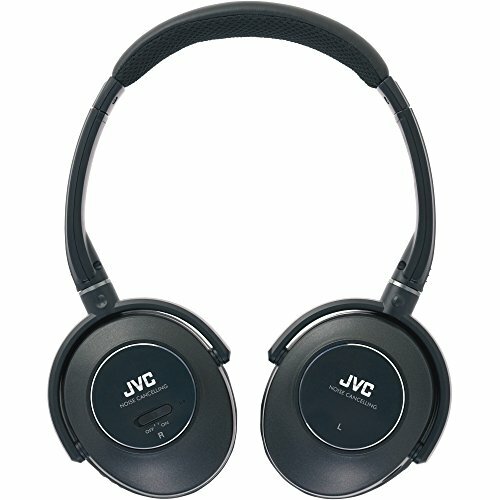 While not audiophile quality, these headphone are certainly easy to listen to. The Sennheiser PXC 480 is quickly becoming a go-to choice for those in search of a comfortable and quality listening experience with active noise cancelling. There is no doubt about it, these are slightly worse in pretty much every regard, but for the price you can’t blame them. One AAA battery gives enough power for about 50 hours of ANC. After that you can still use them as regular headphones. Wearing big, soft headphones usually doesn’t cause any comfort issues, MonopricePID 10010 are the same. Well padded, on-ear pads distribute the pressure evenly on the ears and don’t cause any sweating. 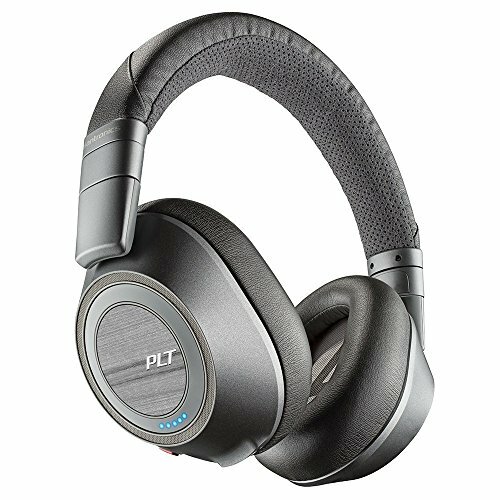 Compared to other noise cancelling headphones, these sound pretty good, even on par with Bose QuietComfort 35, but not beating Sennheiser PXC 450. The sound is fun to listen to, without boomy bass or aggressive treble. On the other hand, if you’re an audiophile you can find better sounding headphones among non-cancelling models. But just like all on-ears, after a few hours, you are bound to get some of the tingling in the ears. If you value comfort highly, get an over-ear model instead. Sound is really good. All ranges are balanced, the bass is not overpowering and there is little hiss sound so common in noise cancelling headphones. Ear pads are nicely padded and don’t put a lot of pressure. Bose QuietComfort 35 might be a bit more comfortable, due to their light weight, but Audio-Technica ATH-ANC7B are not far behind. 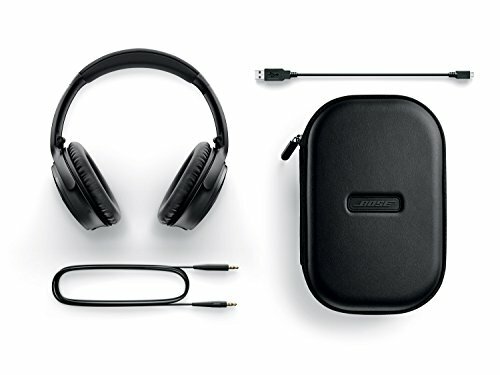 Just like with most other noise cancelling headphones you get a carrying bag and a set of adapters, airline and 6.3mm version. These headphones suffer from the same limitations, when ANC is off the sound gets worse, loses bass and clarity in mids and treble. Always use noise cancelling mode to fix this. 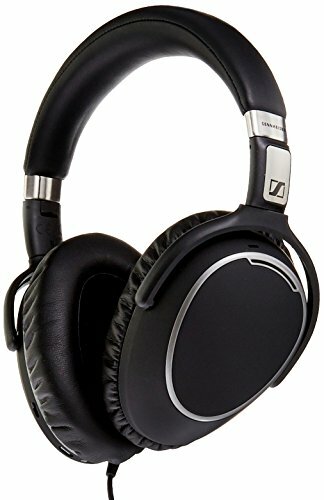 Audio-Technica ATH-ANC7B have superior sound in noise cancelling category, maybe not as good as Sennheiser PXC 450, but close. 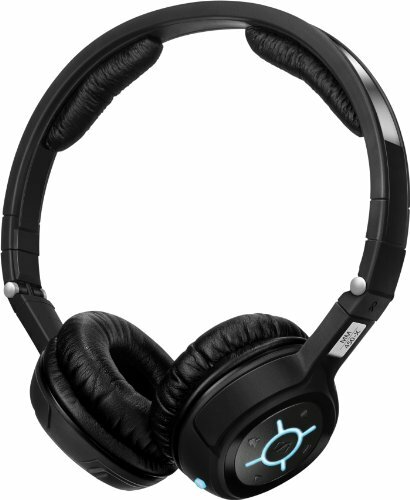 The above headphones are amongst the most popular Bluetooth headphones with good noise canceling abilities. 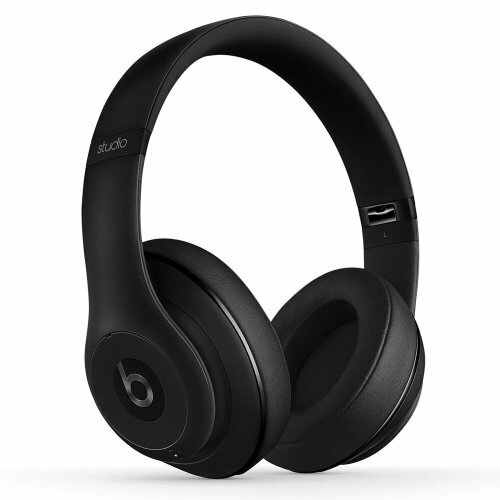 See best Bluetooth over ear headphones if you don’t care about having active noise canceling.